Do you need a printer that can handle mission-critical, 24/7, heavy-industrial demands? With the new 110XiIIIPlus, you can step up to the renowned, non-stop reliability of Zebra’s Xi™ printer family without a big leap in price. This new model with full four-inch print width comes in a choice of 203-, 300-, or 600-dpi resolution to fit your printing application, be it 4″x 6″ compliance shipping labels, or tiny, sharply detailed labels for small components or products. Like every XiIIIPlus, it also offers a 32-bit processor for fast throughput, 16 MB SDRAM of onboard memory for fast “first-label-out” printing, and CompactFlash® for added label format/font storage—plus the most connectivity choices, including ZebraLink™ for remote printer management, ZebraNet® Wireless Card Socket, and USB 2.0, serial, and parallel ports. 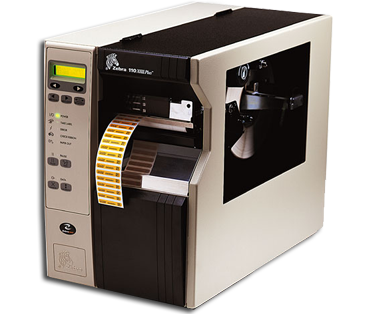 The 110XiIIIPlus can print reduced space symbology (RSS)— perfect for pharmaceutical companies wishing to comply with Federal Drug Administration (FDA) requirements for unit-of-use marking.